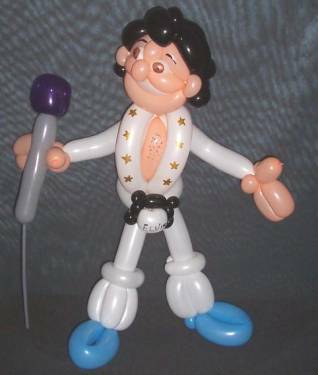 Description: This guy was definitely inspired by Fabrizio's Elvis. Only slight modifications were made to his body design, such as adding 'buns of latex' to hold up the belt. Also for the first time I used a hook twist bubble for the floppy bangs.